After Tesla CEO Elon Musk promised earlier this month to help restore power in Puerto Rico, the company has brought electricity back to a hospital on the island, which was recently battered by Hurricane Maria. 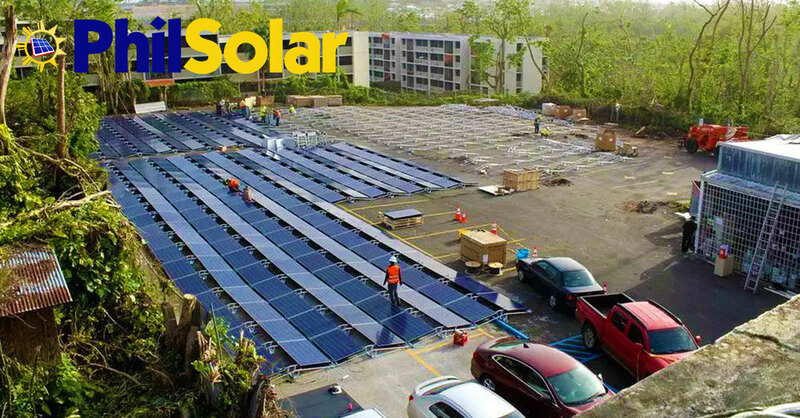 In a tweet Tuesday, Tesla posted photos of Hospital del Niño, where it just completed installation of solar panels and large battery packs to provide power even with the grid down. The batteries can store excess energy harvested by the solar panels, ensuring a steady flow of power even when sunlight isn’t available. Tesla first discussed sending energy-storage battery packs to Puerto Rico as a source of emergency power in late September, and Musk pledged to go all-in October 5. Not surprisingly for the Twitter-loving CEO, the relief effort was shaped by a series of tweets. Even without the added impetus of compensating for hurricane damage, islands are particularly well-suited to renewable energy and electrical storage. They’re not connected to the mainland grid, after all, and generating power locally can be difficult, as fuel must be shipped in. Prior to Hurricane Maria, most of Puerto Rico’s power was generated by burning oil, which had to be imported. Tesla has said it will delay the unveiling of its much-discussed electric semi-truck in order to focus on the Puerto Rico effort. Musk previously said the truck would be unveiled in September, but that was pushed back one month before being delayed again due to the hurricane-relief effort. Tesla now says the semi truck will debut November 6.